Meet the objectives of your business by creating goal-oriented driver based plans, reports and dashboards. 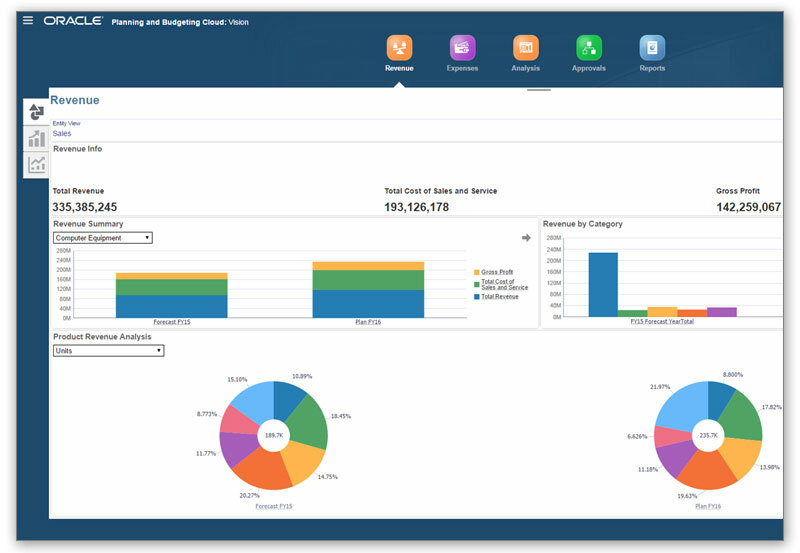 Get an immediate sense of the state of your business plans using slick easy to create dashboards and reports that are instantaneously refreshed using in-memory calculations and fast aggregations. Plan and forecast for complex business what-if scenarios by using ad-hoc scenario modeling, sandbox, and predictive features. Create multiple what-if versions and slice and dice data based on various what-if assumptions and create instant reports and PowerPoint slides. Collaborate across the enterprise or with specific groups of users using data-driven, dynamic approvals powered by a state of the art workflow process. Engage in threaded commentary and append documents to add color and substance to your numbers. Expand your numbers with on-the-fly line item detail to further elaborate your plan numbers. Define planning models for your specific line of business or create unified models for the company as a whole. Collaborate across regions and groups of users using concurrent data updates and instant reporting. 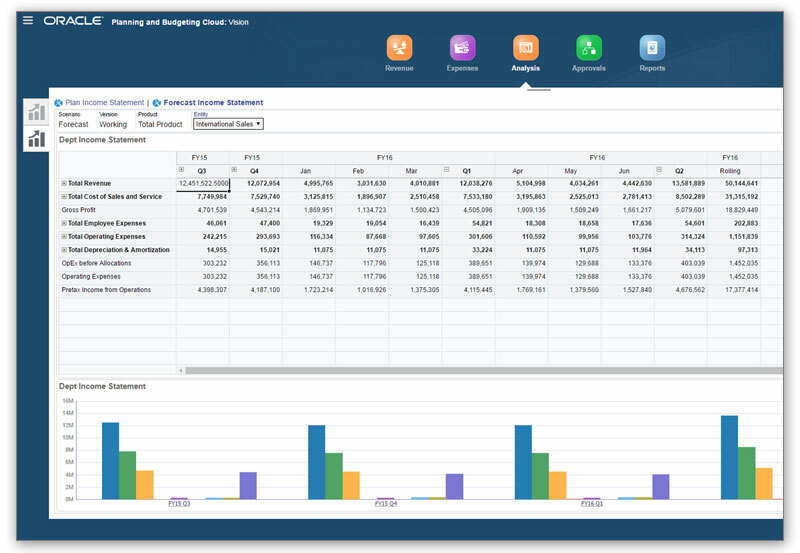 Plan using a modern, mobile, friendly, intuitive web interface, or use the familiar Excel interface. Create navigation flows that are tailored for groups of users based on their usage needs. Sales planners, expense planners, financial analysts, executives etc. each can have their own navigation flows. Plan and model within the familiar Microsoft Office interface and leverage the built-in integration to Excel, Word, PowerPoint and Outlook. 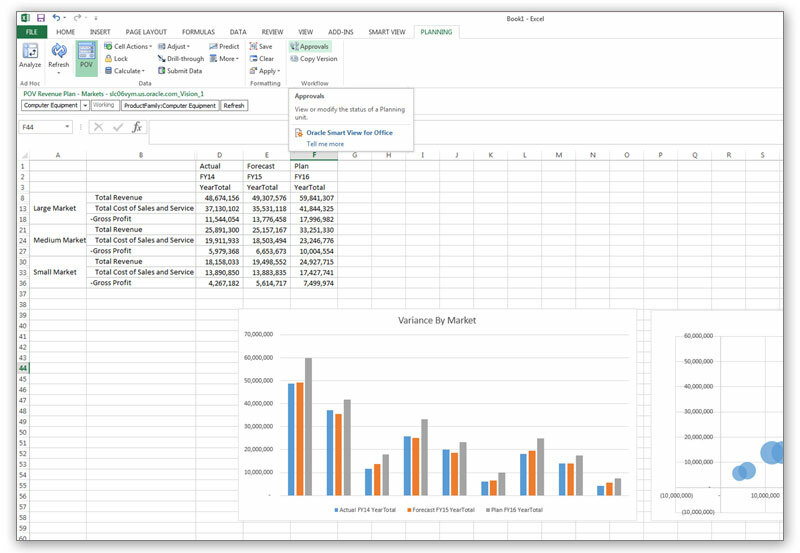 Create input templates within Excel using excel formulas and formats. 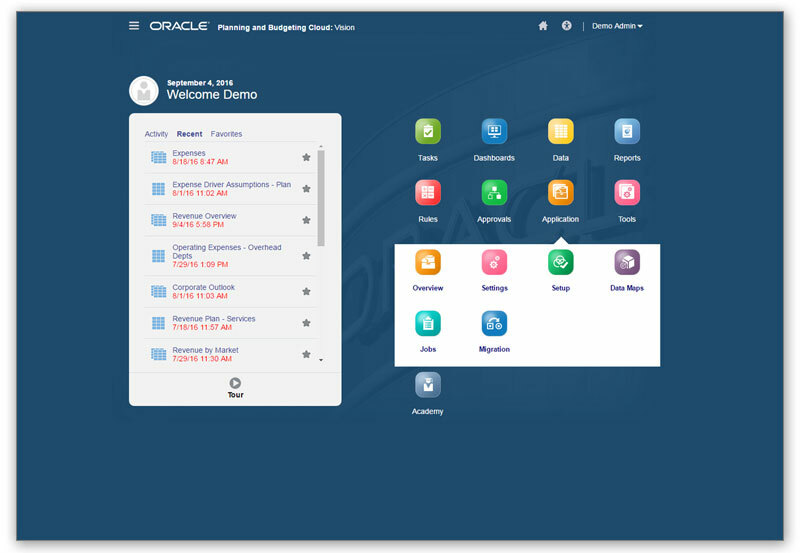 Connect to the external cloud, Oracle Cloud, or with on-premises solutions using built-in automation tools or open interface web service capabilities. Import data from various sources including spreadsheets. Take advantage of out-of-the-box integrations with Oracle ERP Cloud or leverage existing on-premises Hyperion investments to deploy Planning Cloud as a hybrid solution. Copyright © 2017 ST Tech Inc.